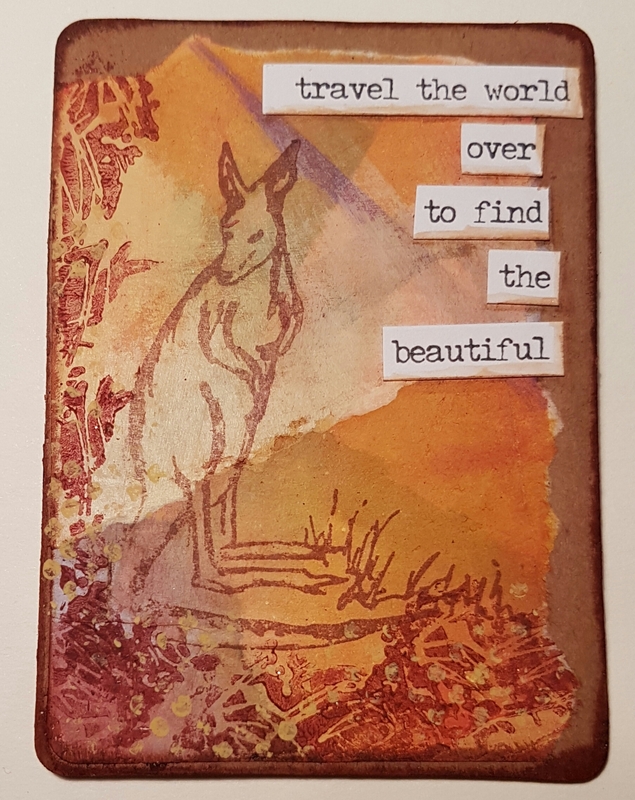 Here are the two ATC’S I made for the Artful ATC group swap with the theme of “Australia”. I happened to have some kangaroo stamps so knew they would get used. I grabbed some scratch paper that had yellows and purples on it. I then added distress inks in yellows and reds to give the red desert I think of when I think of Australia. 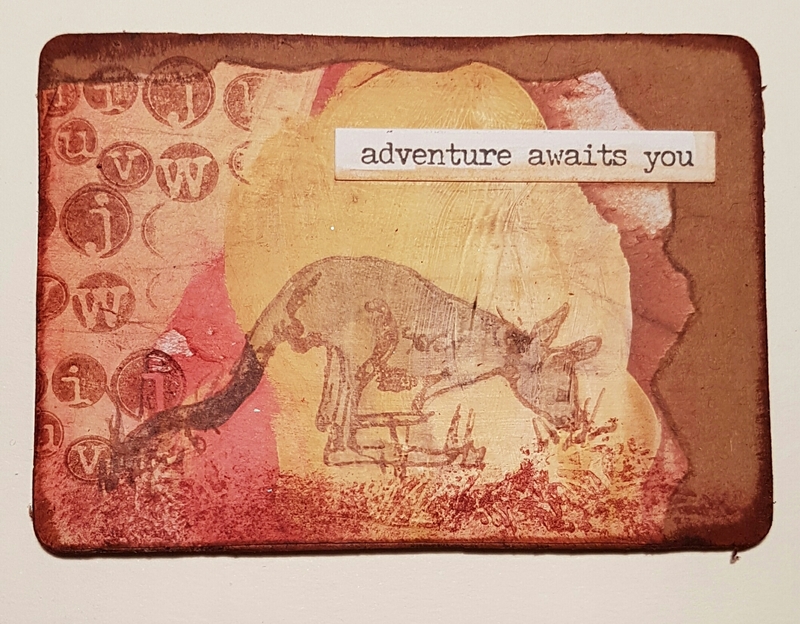 I then stamped the kangaroos in brown archival and tore the paper. I then created the bases using some packaging card and the ATC die. Then I added ink round the edges and the piece of torn paper. I then chose a few stamps to frame the kangaroos. Finally I added a little extra colour to the bottom kangaroo using Inktense and took some away from the top one using water to remove the distress inks. I also added some of the Tim Holtz phrase stickers that I thought worked with the theme. Paperartsy challenge orange and pink… valentines card… shhhh… don’t tell him!